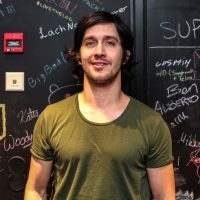 Timur Haussila is a game lead At Supercell in Helsinki Finland. During the past 5 years he has led the development of Hay Day, Boom Beach and number of unannounced titles. Timur joined the industry in 2009 to develop F2P titles for Digital Chocolate studio in Helsinki. As a Product Manager the role was to design game economies, game loops and to help on the product portfolio strategy. Since then the focus of his work has expanded to cover the general responsibilities in developing games from an idea to global hits.